Chipotle (CMG)hiked its prices and opened new restaurants, and it paid off. The burrito chain said in its latest public earnings report that its revenue climbed 7.4% last quarter compared to the same period last year. The news sent the company's stock price climbing nearly 10% during after hours trading Wednesday. "The increase in revenue was driven by new restaurant openings," the company said in a press release. The fast food restaurant also benefited from price hikes that it's rolled out at stores across the country over the past year, the press release states. Steeper prices led to a 4.9% bump in total revenue at existing locations. That "partially offset" the fact it saw fewer total transactions, according to the press release. Investors will no doubt welcome the revenue growth. 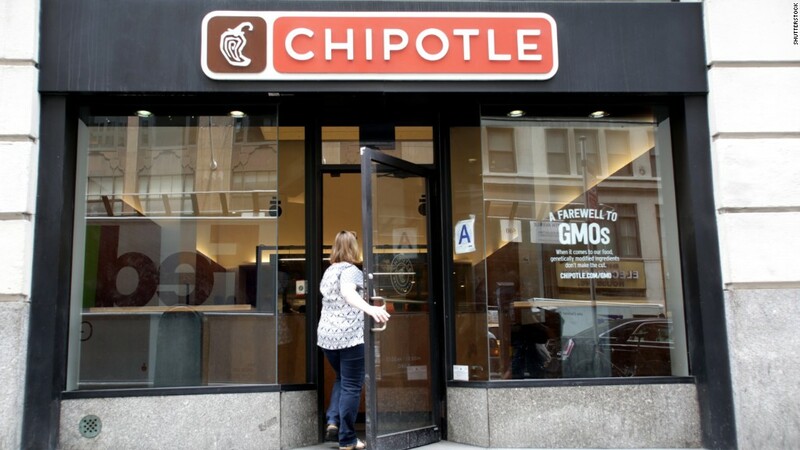 Chipotle has had a rough couple of years due to a series of food safety scares. An E. coli outbreak prompted the company to shutter all of its stores for a few hours in February 2016 for food safety training. But the troubles didn't end after that. Just a few months ago, reports circulated that employees and customers were getting sick at a Chipotle restaurant in Los Angeles.